When it comes to knowing the difference in cuts of steak, not everyone is an expert. That’s okay because Steak University is here to help! It can be confusing choosing the best part of steak to eat, so we’re going to tackle two of the most well-known cuts of steak. Today, it’s sirloin vs ribeye. We have all the information you need to choose what cut of steak you’re going to be enjoying for dinner tonight. Ribeye vs Sirloin Steak Whats the Difference? When you think of steak cuts, your mind likely goes right to either a ribeye or sirloin. Their names often grace the pages of our favorite steak houses, and they’re always waiting for us in the meat department of the grocery store. They’re two of the most famous cuts of steak, and they often get pitted against each other in a great “sirloin steak vs ribeye” debate. In reality, they’re two very different cuts. So, let’s compare these beloved meats, shall we? As you could probably tell by the name, ribeye steaks are cut right from the rib area of the animal. When they’re cut, they have the rib bone attached and hold on to quite a bit of fat from the ribs. Although they’re fattier than other steaks, the fat also provides an insane amount of flavor that steak fanatics can’t get enough of. The flavor tends to be richer than other cuts, including the sirloin. Ribeye is one of the best types of steak for pan-searing, which helps bring its strong, delicious flavors out. When you consider the difference between ribeye and sirloin steaks, it’s important to note that “sirloin” refers to a large cut of steak that gets cut into several other types of steak. Sirloin comes from the back of a beef animal, behind its ribs but ahead of the rump area. This same area is where T-Bone and top sirloin cuts originate. Sirloin cuts are often the leaner parts of a steak, with high protein and low fat content. Although they taste delicious, cuts of sirloin aren’t quite as robust in flavor as a ribeye because of their lower fat content. Top sirloin is one of the most beloved sirloin cuts, with bones and tougher muscle removed for a more tender and juicy steak. Is sirloin better than ribeye for your wallet, or vice versa? This actually depends on the type of ribeye or sirloin cut you choose. When it comes to top sirloin vs ribeye, ribeye is typically a few dollars more per pound. These cuts are especially trendy right now, and prices reflect that. However, some bone-in ribeyes may be a little less expensive than boneless sirloin cuts. A full sirloin cut can save you a little money over a ribeye, but you’ll have to cut it yourself into your choice cuts. In most cases, it’s safe to say that a ribeye will cost you more per pound than a sirloin steak. To make both the ribeye and sirloin steaks taste their best, you’ll need to know how to cook them properly. The last thing you want to do is spend money on these delicious cuts and mess them up in the cooking process. The tragedy! Steak U highly recommends the sirloin for the grill. As our steak cuts comparison explained, the fat content in ribeye steaks can make cooking them on the grill pretty dangerous, especially if you haven’t had much experience with them. 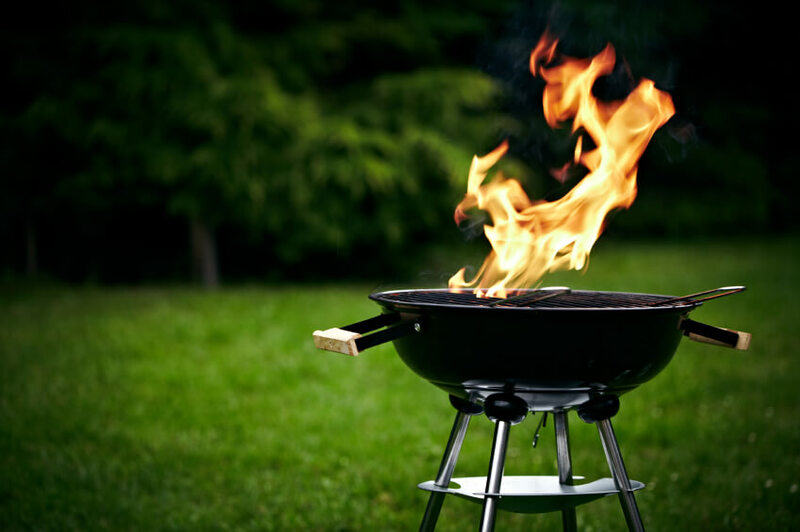 For the best tender steak when cooking your sirloin on the grill, make sure your grill is heated thoroughly before adding the steak. This will help it cook more evenly to prevent drying out. 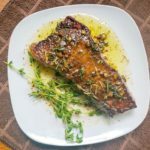 Brush your steak with olive oil and desired seasonings. Alternatively, you can brush with a barbecue sauce. Your steak will need about four or five minutes of cooking on each side. Flip to the other side only once you begin to see the juices beading around the top of the steak. Once your sirloin reaches your desired temperature, remove it from the grill and allow it to rest for five minutes before serving. If you want a steak with the best sear, a ribeye is your best choice between a rib eye steak or sirloin. This steak cut cooks in its fat content, creating a tender, juicy, and delicious steak. If possible, use a cast-iron skillet for the best sear. Lightly oil the skillet and pre-heat it to the hottest setting. Prepare your ribeye by spreading on your choice of seasonings. Once the skillet is hot, place your steak on the skillet and allow it to completely sear the first side, which takes about four to five minutes. Flip over the steak and add a little more oil or a small amount of butter to the skillet. Cook for another four to five minutes, or until that side is seared and your desired temperature is reached. Allow the steak to rest at least five minutes before serving for the best tender steak. So, which steak is better – ribeye or sirloin? That’s the question of the day, but it’s one we can’t really answer for you. When it comes to sirloin vs ribeye steak, it really depends on how much you want to spend and how you want to cook your steak. The different cuts of steak will both give you the meaty flavor you crave, with the ribeye adding just a bit more robust steak flavor from its fats. Is ribeye the best steak for grilling, though? Not so much. If you want a beautifully grilled steak, go with sirloin. If pan-seared is what you’re after, we suggest ribeye. Browse our USDA Prime Ribeyes and Top Sirloins to try the top 2% of beef grown in the United States. As always, check out Steak University for steak cooking tips, trends, recipes, and more. When it comes to knowing the difference in cuts of steak, not everyone is an expert. That’s okay because Steak University is here to help! Today we’re going to tackle two of the most well-known cuts of steak: the ribeye and the sirloin. Let’s compare these beloved meats, shall we? As you can probably tell by the name, ribeye steaks are cut right from the rib area of the animal. When cut, the rib bone is attached to the meat and holds on to quite a bit of fat from the ribs. The fat provides an insane amount of flavor that steak fanatics can’t get enough of. Thus, producing a richer flavor than the sirloin. Sirloin comes from the back of a beef animal, behind its ribs but ahead of the rump area. Sirloin cuts are often the leaner parts of a steak and contain high protein. Although they taste delicious, cuts of sirloin aren’t quite as robust in flavor as a ribeye because of their lower fat content. When it comes to ribeyes vs sirloins, it’s safe to say that a ribeye will cost you more per pound than a sirloin steak. These cuts are especially trendy right now, and prices reflect that. However, a full sirloin cut can save you some dollars over a ribeye, but you’ll have to cut it down yourself. Which Type of Steak is the Best for Cooking? Ribeyes have a higher fat content than sirloin steaks, so they don’t fare as well on the grill. For a good old smoky flavor or some barbecue grilling, the sirloin is your best choice because it’s usually a thinner cut that can cook faster without drying out. On the other hand, ribeyes are known for their amazing pan-searing abilities, especially in a cast-iron skillet, and it’s a great method for home cooks to try. Ribeyes cook a bit slower than sirloin steaks, which lets you obtain a good sear without overcooking. Make sure your grill is heated thoroughly before adding the steak. This will help it cook more evenly to prevent drying out. Brush your steak with olive oil and desired seasonings. Your steak will need about four or five minutes of cooking on each side. Flip to the other side only once you begin to see the juices beading around the top of the steak. Once your sirloin reaches your desired temperature, remove it from the grill and allow it to rest for five minutes before serving. 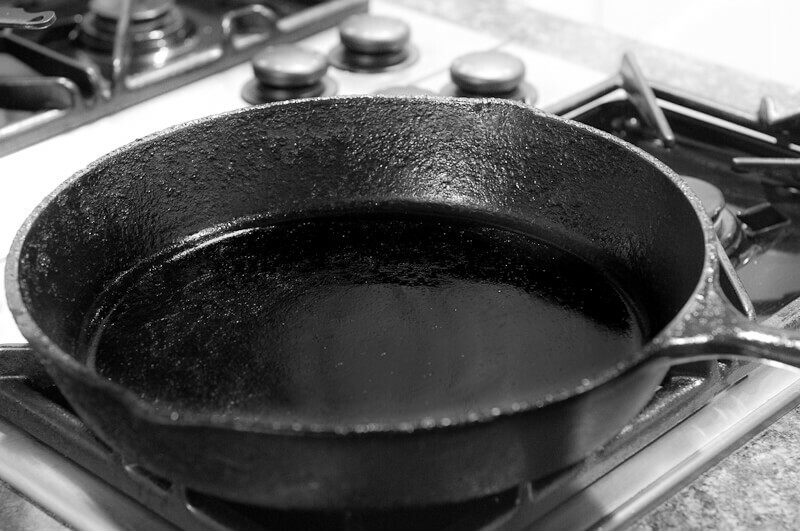 Lightly oil your skillet and pre-heat it to the hottest setting. Season your ribeye. 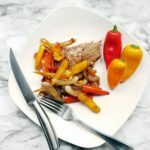 Once the skillet is hot, place your steak on the skillet and allow it to completely sear the first side, which takes about four to five minutes. Flip over the steak and add a little more oil or a small amount of butter to the skillet. Cook for another four to five minutes, or until the steak is seared to your desired temperature. Let it rest for at least five minutes before serving. So, which steak is better – ribeye or sirloin? The decision really depends on how much you want to spend and how you want to cook your steak. Both cuts will give you the meaty flavor you crave, with the ribeye adding just a bit more robust flavor from its fats. If you want a beautifully cooked steak on the grill, choose the sirloin. Browse our USDA Prime Ribeyes and Top Sirloins to try the top 2% of beef grown in the United States. As always, check out Steak University for steak cooking tips, trends, recipes, and more.